Tata Motors witnessed a drop in cumulative volumes for commercial and passenger vehicles by 4 per cent with 50,470 units sold in November 2018, as against 52,464 units sold over the same period last year. Indian auto giant Tata Motors had a disappointing month of November with sales dropping of 4 per cent. The company which has been witnessing strong growth through the year, sold a cumulative (CV+PV) 50,470 unit in November 2018, as against 52,464 units over the same period last year. The automaker attributed low consumer sentiments as a result of liquidity crisis in the industry, higher interest rates and rising fuel costs. The company's cumulative sales for the domestic market between April and November 2018 stood at 447,532 units, a growth of 30 per cent as compared to 344,137 units over last year. In the commercial vehicles business, domestic sales declined by five per cent, down to 33,488 units as against 35,307 units sold in November 2017. The automaker stated that profitability for small operators was impacted due to reduced freights on account of the benefits passed by large operators from GST related credits. With respect to year-to-date sales, Tata's CV business saw 305,395 units being sold between April and November 2018, growing by 33 per cent when compared to 229,088 units last year during the same period. The M&HCV truck segment sales declined by 24%, from 12,851 units in November last year to 9793 units sold last month. The addition of capacity in the parc with existing vehicles being registered for higher payload (increased axle load) also impacted sales. That said, the tipper segment posted strong growth at 15 per cent backed by road construction, housing schemes and and infrastructure projects. The I&LCV truck segment too grew by 2 per cent in year-on-year grwoth, with 4071 units sold as against 3984 units in November last year. The SCV cargo and pickup segments too grew by 8 per cent in November 2018 with sales of 16,205 units, as opposed to 14,950 units sold during the same month last year. Lastly, the commercial passenger carrier segment registered a decline of 3 per cent with 3418 units, as against 3522 units sold in November last year. Tata Motors' domestic passenger vehicle sales stood at 16,982 units, dropping by 1 per cent over 17,157 units sold in November last year. The drop in volumes was attributed to liquidity crunch, non-availability of retail finance and a moderatee festive season. The company holds strong in year-to-date sales between April and November 2018 with Tata selling 142,137 units, a hike of 24 per cent, compared to 115,049 units sold during the same month last fiscal. 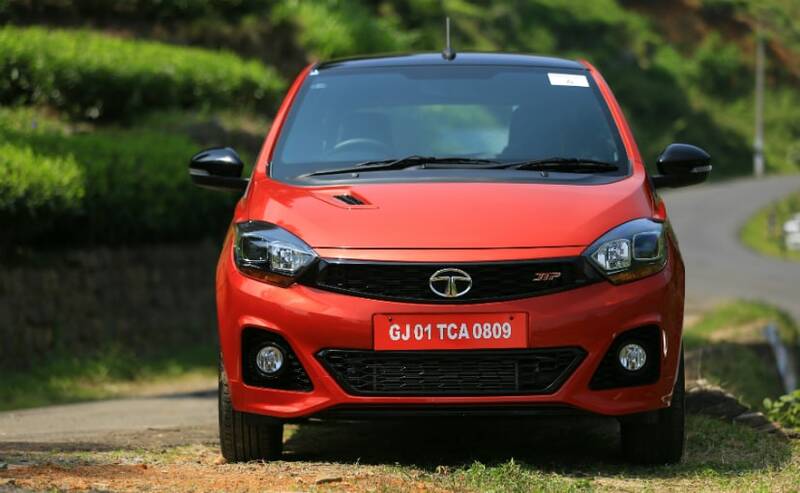 Tata Motors introduced a host of products during the festive season including the Nexon Kraz Edition, Tiago NRG, as well as the Tiago and Tigor JTP cars with performance upgrades. The company is now on the verge of introducing the Tata Harrier that will hit the showrooms in early 2019. Tata's total exports (CV+PV) for the previous month stood at 4604 units, a decline of 7 per cent, against 4927 units shipped in November 2017. The automaker cited sharp TIV contraction in Bangladesh due to elections and political uncertainty in Sri Lanka as one of the major reasons for the drop.